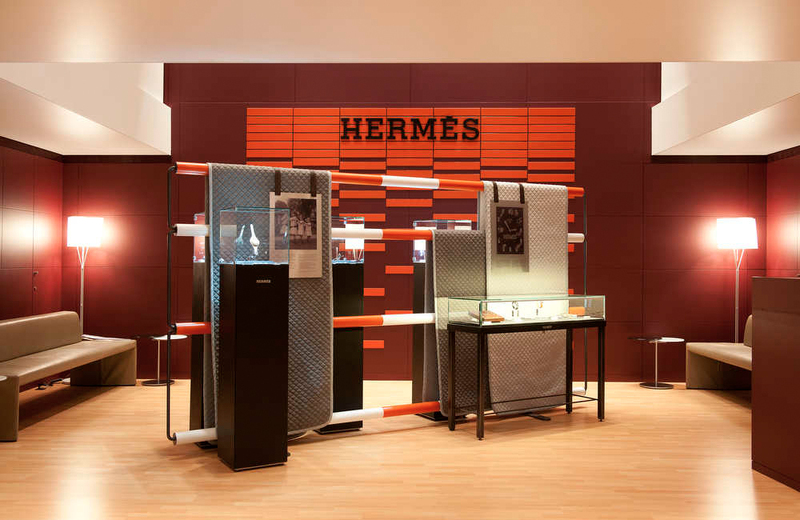 An interactive display case for Hermès in the most luxurious boutique in the world, Faubourg Saint Honoré, in Paris. 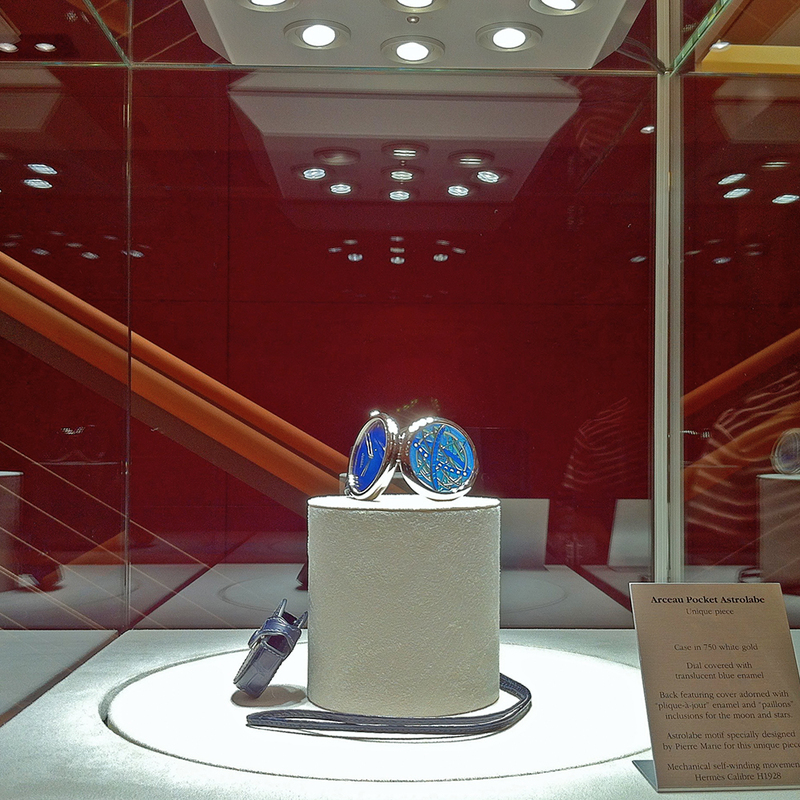 With the press of a button, a magnifier glides over each piece on display. 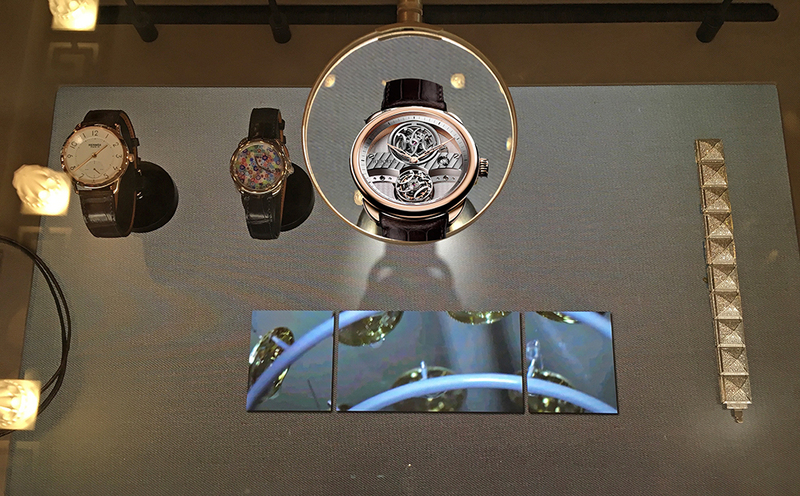 With "tracking screen" technology, each piece can have it's individual video presented next to it. 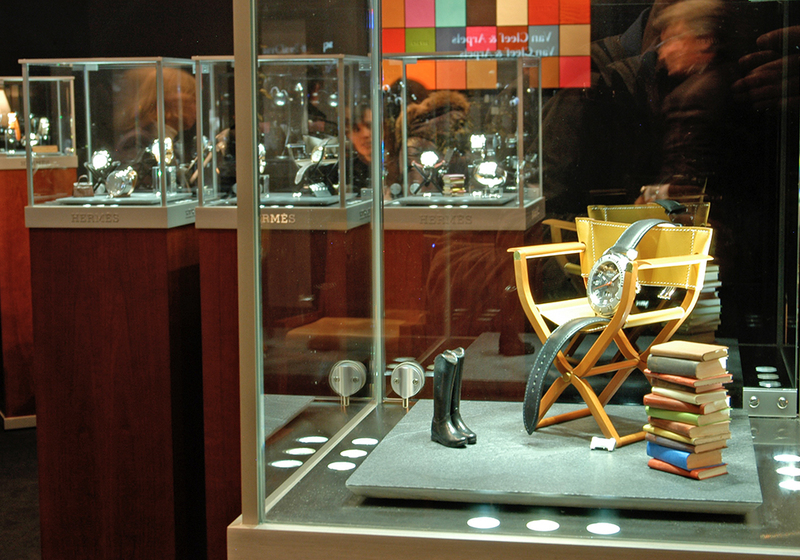 La Montre Hermès at Baselworld. 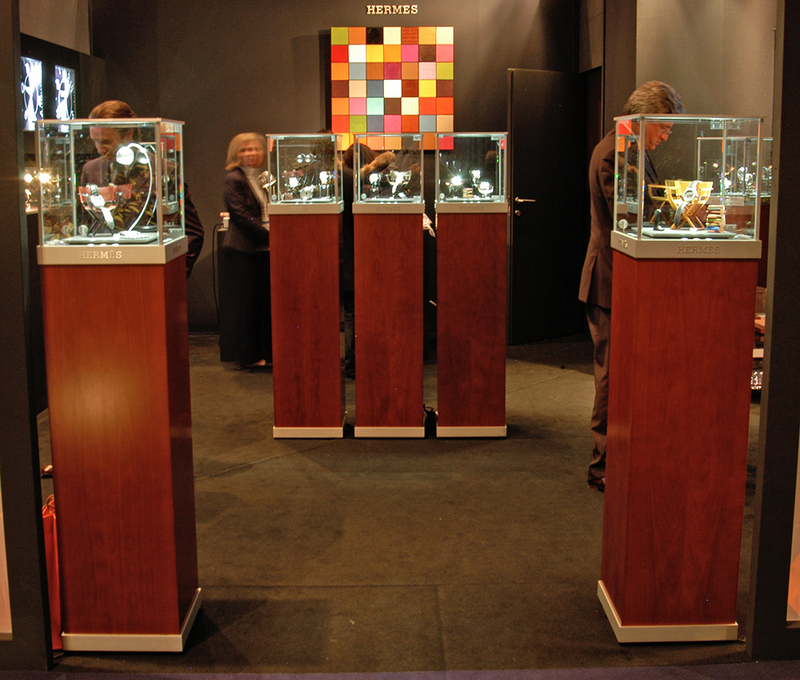 Monolith display cases. 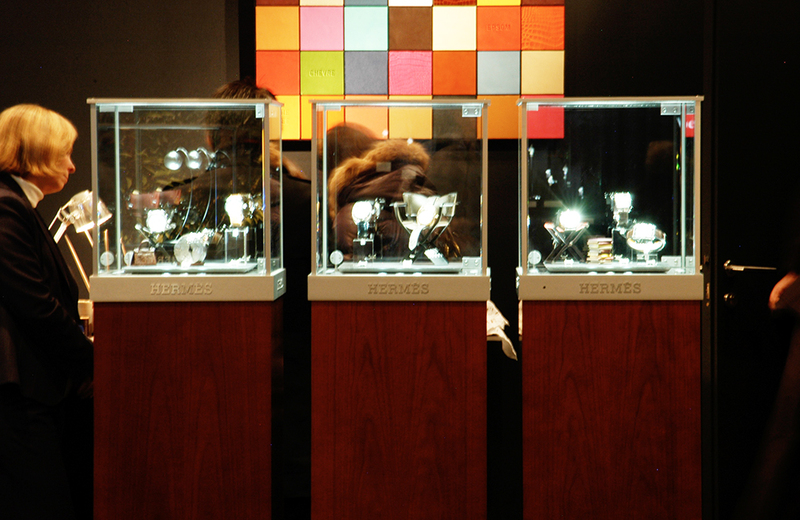 A series of spotlights are placed at the bottom of the showcase. 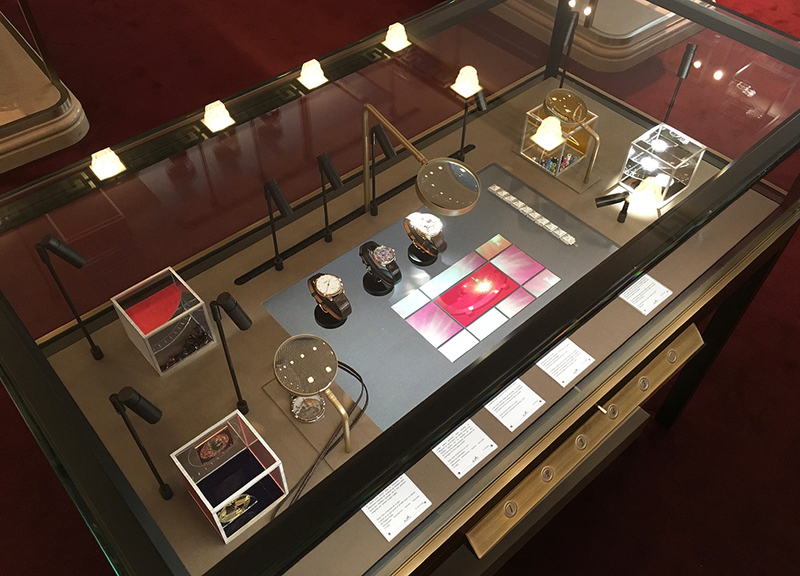 The light reflects off a mirror at the top of the cabinet and illuminates the display area uniformly and without casting shadows. 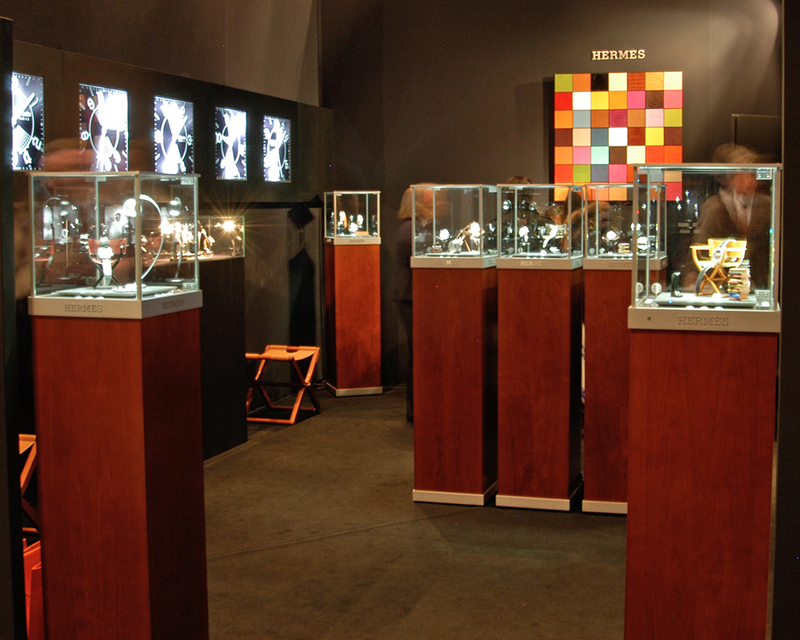 Soft and compact lighting without any glare. 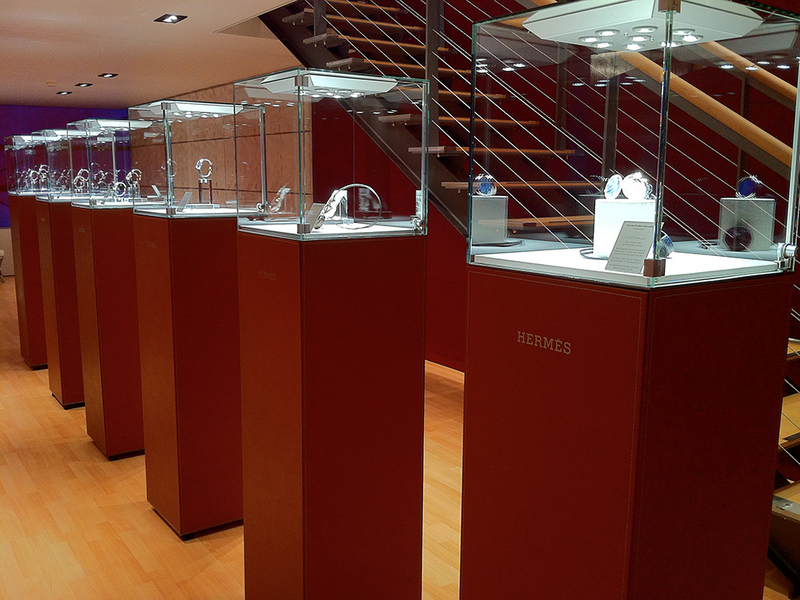 La Montre Hermès at Salon Belles Montres, Carrousel du Louvre in Paris. 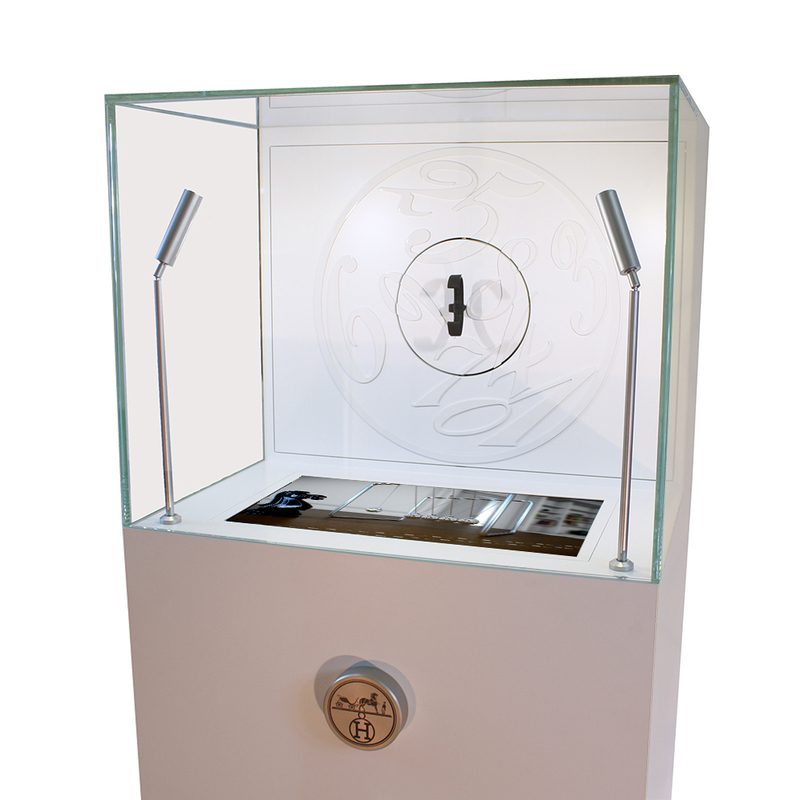 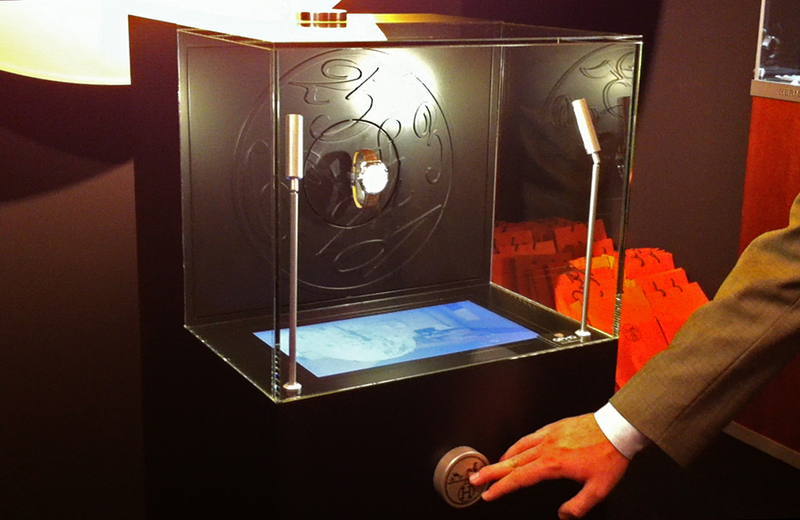 Interactive display case : Le Temps suspendu by Hermès. 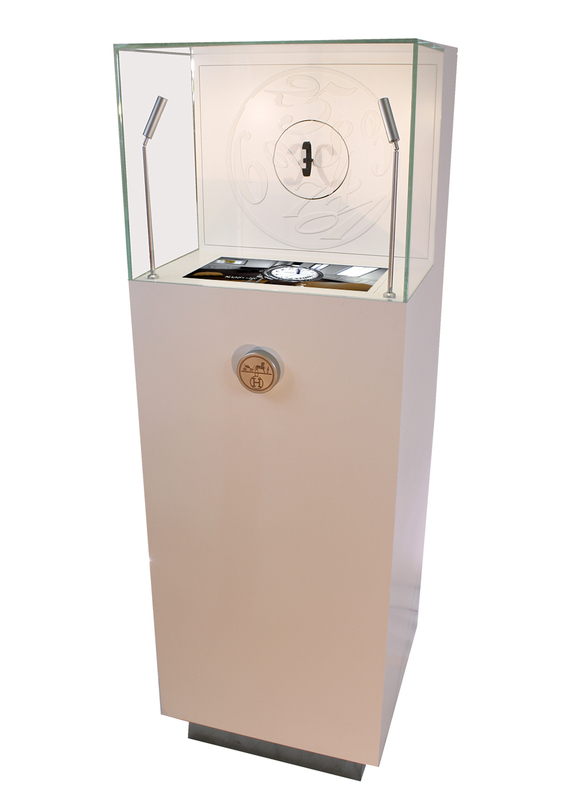 By pushing the button on the display case, a second watch appears indicating a suspended time.